Gut health 5: Eat those probiotic! – helping women with Lupus reclaim their health. Gut health 5: Eat those probiotic! For this last installment of my gut health series, I want to talk about probiotics foods and supplements. You might be thinking, “You kind of buried the lead on that one!” but you would be wrong. I chose to write about probiotics last because I think we all have a little bit of an addiction to magic bullets. We tend to really like it when someone says take this new supplement, superfood, weird lemon-cayenne-concoction-thing because we see it as an end to our problems without actually having to change the reasons we have our problems. And as most of us with a medicine cabinet full of half-used supplements can attest, this is never the case. Probiotics, whether found in capsule form or food, support our gut health by putting in lots of good bacteria and yeast into our guts. These critters help to strengthen our immune system, reduce inflammation, heal our gut, and just generally help our bodies repair and heal so that they can function well. Scientist and doctors predict that one day we will be able to pinpoint exactly what kind of bacteria we need and then go get a prescription filled for it. However, the science isn’t quite there yet, so I recommend doing what you can to get a good variety of probiotics into your diet. Here is how I do it. Yogurt. We all know yogurt has good bacteria, but we tend to eat the ones with lots of sugar or fake sugar. Eating sugar with our probiotics doesn’t necessarily undo all the good but for your health; however, it’s better to eat the whole fat plain yogurt and add your own fruit or honey. Fermented vegetables. 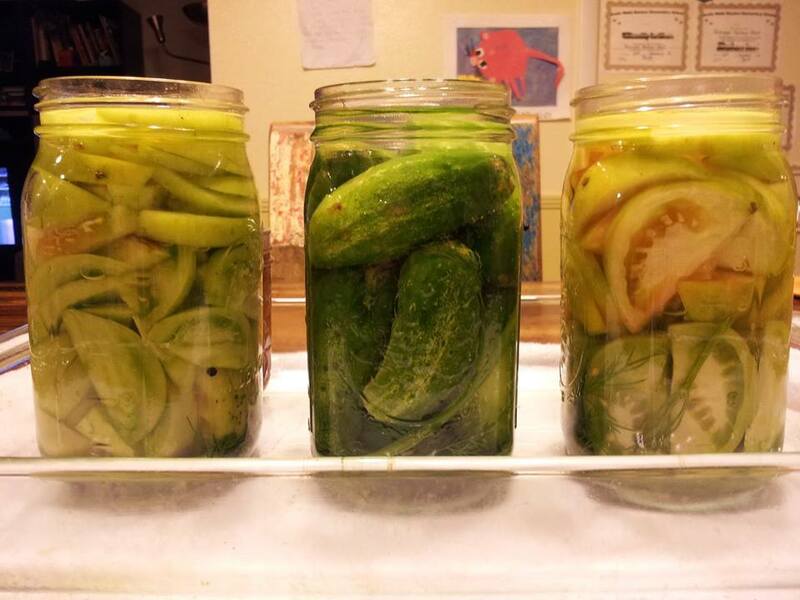 When made traditionally, pickles, sour kraut, kimchi, etc. are full of healthy bacteria. Look for these items in the refrigerated section of the grocery store. The ingredients should list seasoning, vegetables, and water, and say “live cultures.” Traditionally fermented foods do not use distilled vinegar like commercial brands of pickles you find on the shelf. Bubbies brand seems to be the widest spread brand. My family eats fermented vegetables at least once a day and I often crunch on my own homemade dilled carrots when I have snack cravings. Fermented soy products. Natto, miso, traditionally fermented soy sauce, and tempeh are also chock-full of healthy bacteria are a great substitute for vegetarians or just a meatless Monday. Non-fermented soy products are harmful to your health, especially for those with thyroid disease, but fermented soy has many health benefits. Probiotic supplements. I pick probiotics with various strains of Lactobacillus, Streptococcus, Bifidobacterium and Saccharomyces. Probiotics are not regulated, so do your research before buying a probiotic. Ideally, buy them from a health food store or a more health-focused grocery store. I hope these tips are helpful and that you’re inspired to add probiotics into your diet and increase those good bacteria! For more in this series check out parts one, two, three, and four. Previous Post Gut health 4: Stressing out our guts. Great! I know it will help reduce your inflammation and help your digestion.